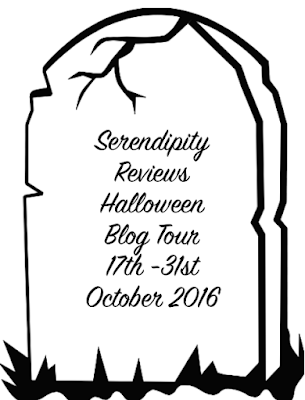 Our first author guest post for the Halloween Blog Tour, is with the fabulous writing duo, Katharine and Elizabeth Corr. 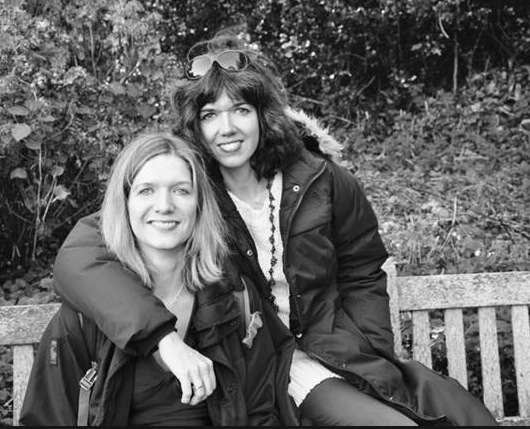 These lovely sisters are sharing their scary childhood reads today. Confession time: we’re a bit pathetic. Neither of us particularly enjoys horror stories (one of us found Ghostbusters 2 a little bit hard to take, so you get the idea). But even we know that being scared is kind of fun. 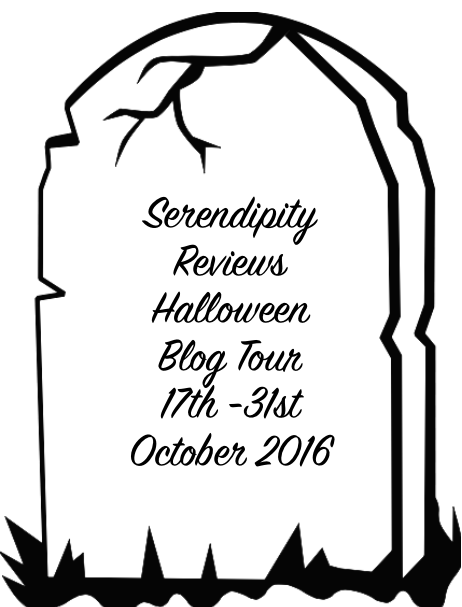 So here are the top four scary reads of our childhood, plus one honourable mention. 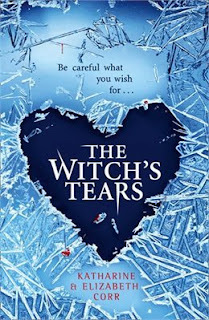 Lois Duncan produced numerous YA psychological thrillers throughout her long career, including the terrifying I Know What You Did Last Summer (subsequently updated and made oh-so-much bloodier in the 1997 film version). 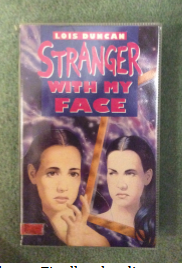 However, the book that totally freaked us out as children was Stranger With My Face, originally published in 1981. 17 year old Laurie Stratton is a typical American teenager, with cute siblings, a devoted best friend and a hunky boyfriend. So far, so good. But her life takes a turn for the worse when people start accusing her of doing things she knows she hasn’t done, and of being in places she’s knows she hasn’t been. Finally, she discovers that the doppelganger who appears to be impersonating her is in fact an ‘astral projection’ of her long lost twin sister, Lia. Why it’s scary: Astral projection is fun until you get left without a body and end up fading away to nothing. Although Laurie technically has a happy ending, the cold-blooded viciousness and sadistic tendencies of Lia made a real impression on us. For a while after reading the book, we were both incredibly nice to each other. You know, just in case. 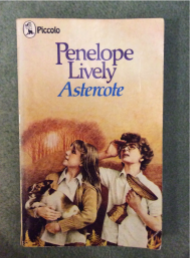 Astercote, written by the amazing Penelope Lively, was first published in 1970.
meet the mysterious Goacher, a man who seems to be living, almost literally, in the past. Goacher shows Mair and Peter around what’s left of Astercote, and tells them about its history: the village was abandoned by its inhabitants over 600 years ago, following an outbreak of the Black Death. He also reveals the golden chalice, a relic from the long lost church of Astercote, of which he is the guardian. According to legend, if the chalice leaves Astercote, the villagers of Charlton Underwood will suffer the same fate as the original inhabitants. Astercote is a beautifully written, spookily eerie book. Lively manages to evoke the fear and suffering of the original inhabitants of Astercote without actually taking the novel back in time. Why it’s scary: plague. Oozing buboes, fever, internal bleeding and almost-certain death. The shocking idea that the Black Death could return to stalk modern day England. All in all, a very good Halloween read. 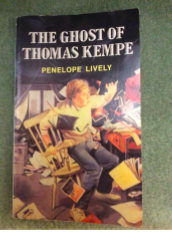 The Ghost of Thomas Kempe – Penelope Lively. Another Penelope Lively book. Yes, we’re big fans! 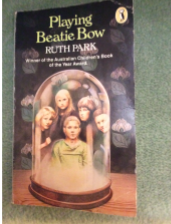 This one – a ghost story – was awarded the Carnegie Medal for the best children’s book of 1973. James moves with his family to an ancient cottage in the village of Ledsham. Whilst redecorating his bedroom, two workmen break a small glass bottle hidden in the wall. Little do they know that they have just released the spirit of Thomas Kempe, a somewhat vengeful and entirely meddlesome 17th century sorcerer who used to live in the village. Now he’s back, he decides to pick up where he left off and quickly starts interfering in the lives of the villagers. Soon doors are being slammed and ornaments broken in the cottage and James gets the blame for everything. Having decided that James is his apprentice, Kempe wreaks further havoc by causing a series of notes to materialise around the village (one, for instance, is wrapped around a brick thrown through a window) instructing people to call on James for all their potion requirements. Why it’s scary: being haunted. It completely chimed with the (extensive) bits of our psyches that believed there was something living under our beds or in the wardrobe. Having said that, The Ghost of Thomas Kempe has some delightfully funny moments as well as some truly creepy ones. When Abigail spots Beatie watching the children and runs after her, she finds herself back in the Sydney of the 1870s. She’s taken in by Beatie’s family who believe her to be the Stranger, brought to their time to help them preserve the family Gift (the gift of seeing the future, of healing and of wisdom). Although Beatie’s family are kind, they refuse to let Abigail go. She is trapped, unless she can discover how exactly she is supposed to ensure the continuation of the Gift. Why it’s scary: Abigail is kidnapped, almost assaulted and runs the risk of being caught forever in the past. She also witnesses the great poverty, hardship and inequality of the time, whilst falling in love with a young man who is ultimately doomed to die. This is the only book of the five that we no longer have, and neither of us have ever bought another copy or borrowed it from a library. However, we both remember that it involves something about being eaten alive by spiders. The story is set on a remote island so at the end the surviving characters are able to escape. But in the epilogue it’s revealed that the flesh-eating spiders have escaped the island and are spreading…. Why it’s scary: Flesh. Eating. Spiders. 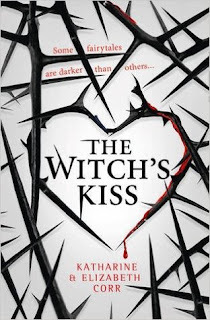 The Witch's Kiss is available to buy now. The second book in The Witch's Kiss series, The Witch's Tears, will be published in February 2017 by Harper Collins.